We took a few minutes to get our tea party hats on. My mother-in-law had a few "get to know each other" activities lined up for us. For one of them, we had to choose two things from our purses that told something interesting about us. We pulled out things like tape measures, peanuts, breath mints, coupons, magnifying glasses, flashlights, cameras, screwdrivers... oh, it was a lot of fun! And then it was time for tea! These are some of the yummy things that we ate. Thanks to Liz and Cathy for helping with the food. We had such a delightful time! Look how sweet she is sipping her tea! I love this! And her! 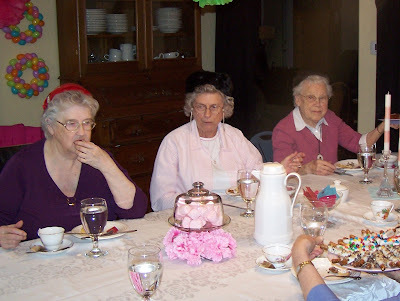 We had a little more sharing time over tea, it was so fun to get to know these ladies better. I especially loved having a tea party with these three ladies. If you haven't met them, I highly recommend it! They are absolutely lovely. These three women have a deep love for Jesus and have faithfully served in the local church for many years. I admire their faithfulness and I am challenged by it. Inspiring, to say the least. They are kind, friendly, welcoming, helpful and encouraging. And they are really funny and witty... with these three, laughter always abounds! I am so blessed to have them in my life and have them in my children's lives. 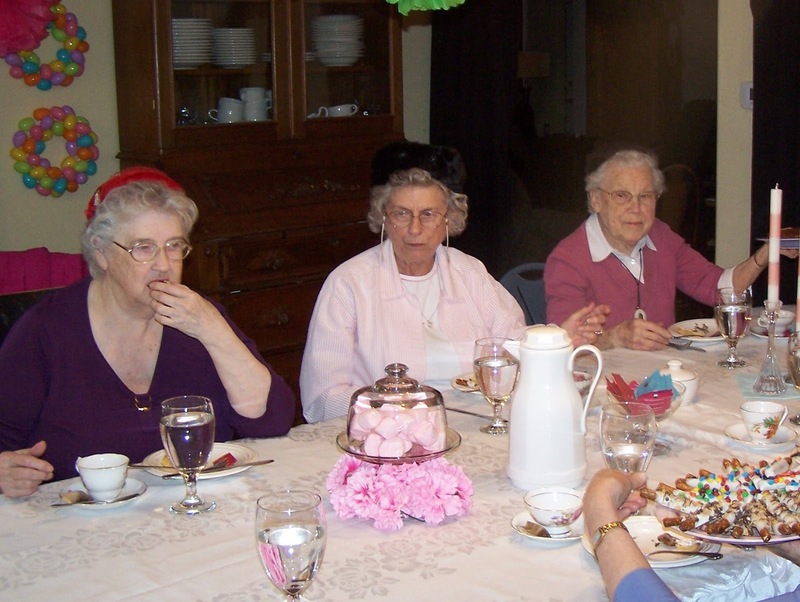 And I loved hosting this "Ladies Tea Party" with my mother-in-law, Karen. We did a lot of planning and prep work together. She sets a mean table, she is a lovely host and she has some really fun activities up her sleeve. Oh, it was such a fun day with lots of lovely ladies! Ladies Tea Party! How amazing that was! I also attended the princess tea party of my niece at the local LA venue and everyone over there couldn’t believe that all the decorations were handmade by little kids. Loved the creativity of kiddos!